Epic Games brings you the Fortnite Blockbuster Contest where they are giving you the opportunity to show off your Filmmaking skills by uploading your own video on Youtube, you can put your filmmaking skills to the test to write and direct the ultimate Season 4 superhero flick for your chance to win 25,000 V-Bucks, Title of film displayed on the marquee and more. You have to upload your video on YouTube and make it publicly visible include so anyone can see it. Include #FortniteBlockbuster in the title and email address: contestsubmissions@epicgames.com with the subject line #FortniteBlockbuster. Please include your full details including Epic ID in the email so you can get your prize if you win. Film played in-game at Risky Reels. Title of film displayed on the marquee. A poster for their film shown in game. 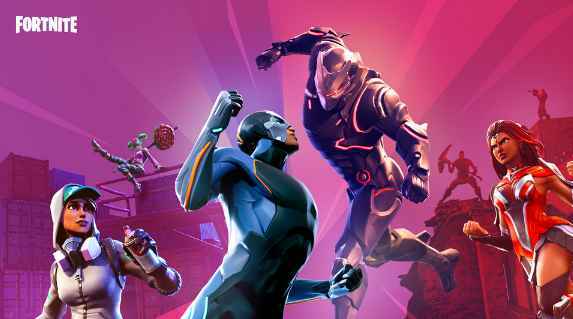 Who Can Enter: This Fortnite Contest is open only to legal residents of the fifty (50) United States and District of Columbia who are eighteen (18) years of age or older at the time they enter the sweepstakes. When To Enter: The Fortnite Blockbuster Contest entry begins on July 02, 2018 at 10am ET and and ends on July 11, 2018 at 11:59pm ET. Who’s Sponsor: The #FortniteBlockbuster contest is sponsored by Epic Games, Inc.